Grampa Simpson's Great Sandwich Caper! Deondre the Giant is a wrestler. Deondre the Giant defeated Glorious Godfrey in a record of four second for a ham sandwich. After the fight told the Giant to Abraham at things in life are worth fighting for like family not a sandwich. It made him realized that a ham sandwich isn't worth fighting over but a turkey sandwich is. 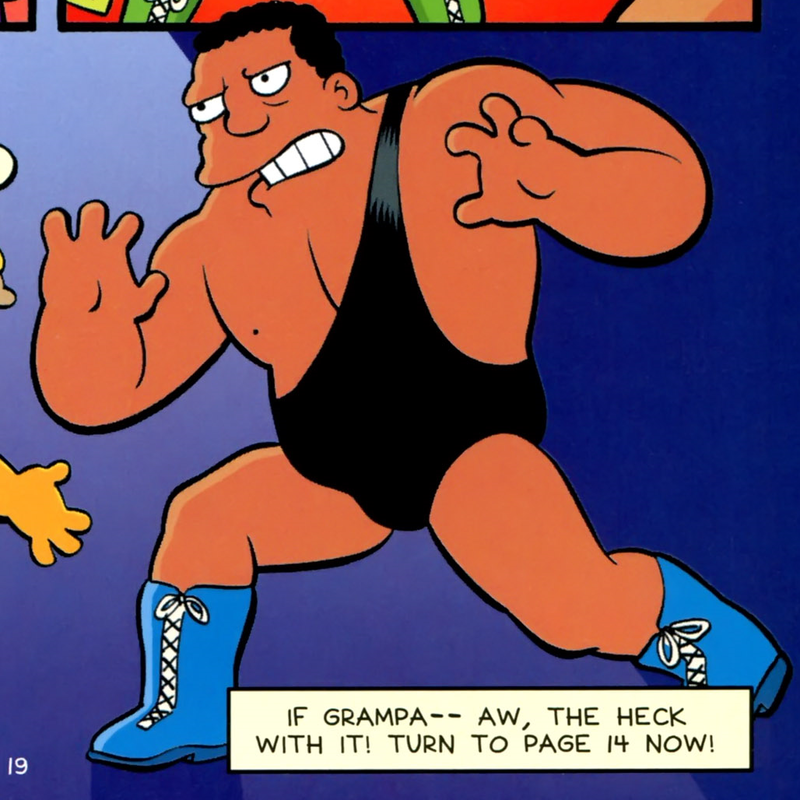 Comic story – Grampa Simpson's Great Sandwich Caper! Modified on April 28, 2017, at 10:49.